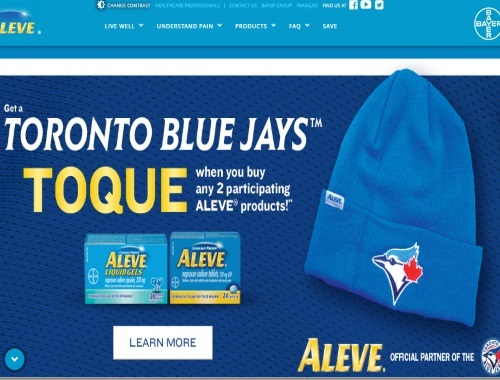 Get a Free Toronto Blue Jays Toque when you buy any 2 participating Aleve products! Offer is open to Canadian residents only. Completed mail-in submissions must be received by November 15, 2017. Limited time offer, while quantities last. Maximum of 2 toque redemptions per household.